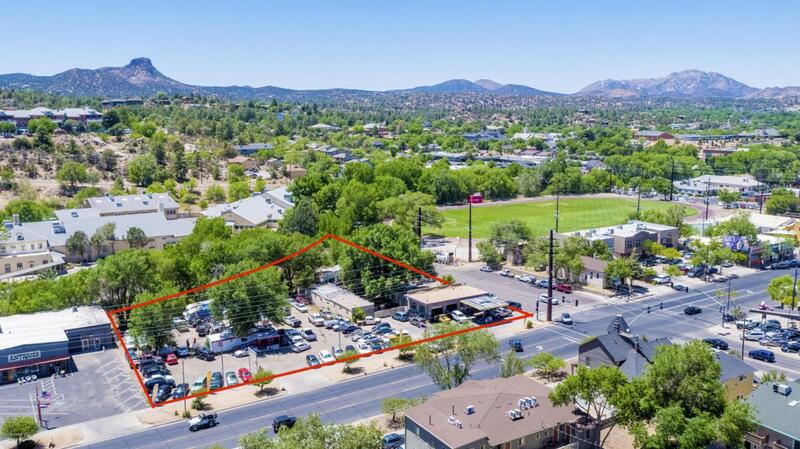 Prime +/- 1 Acre Commercial Signalized Corner site in Downtown Prescott For Sale at $900,000 or $21.30/sf. Owner may carry with approved financials and credit. 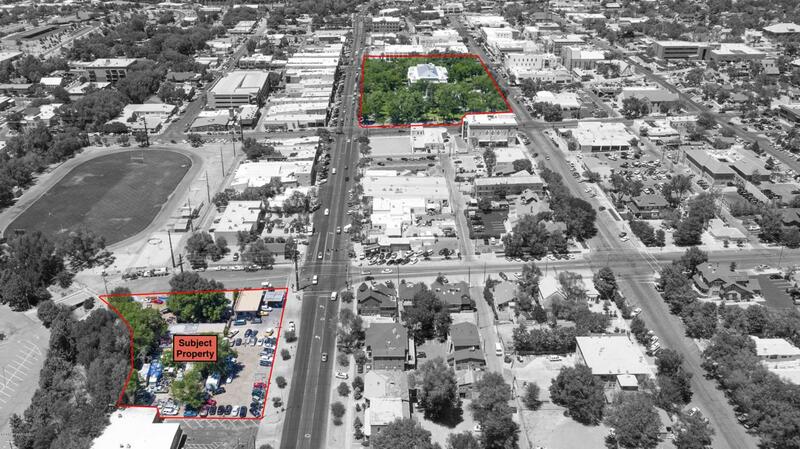 Located just 1 block South of the Courthouse Square on the Southwest Corner of S. Montezuma & Carlton.Excellent Montezuma frontage (over 250 feet) and multiple access points from both streets. Located within the Entertainment District, this development site is ideal for hotel, restaurant/bar and/or residential multi-family or condo units. The property includes 3 separate parcels whichSeller may consider selling separately. 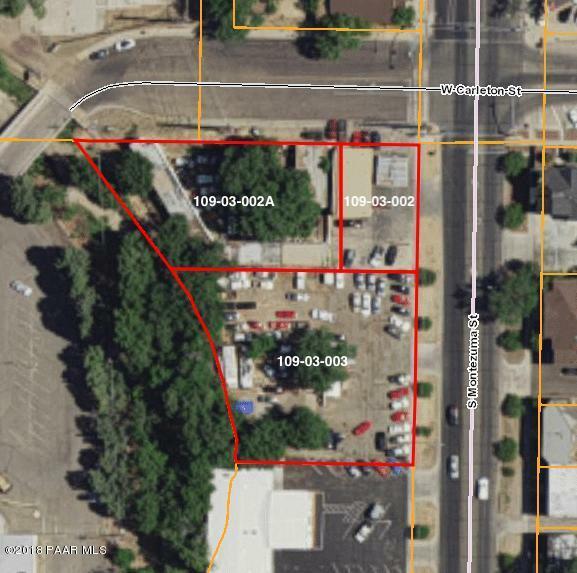 Parcel 109-03-002 is +/- .14 acres, 109-03-002A is +/- .33 acres & 109-03-003 is +/- .5 acres for a total of +/- .97 acres. 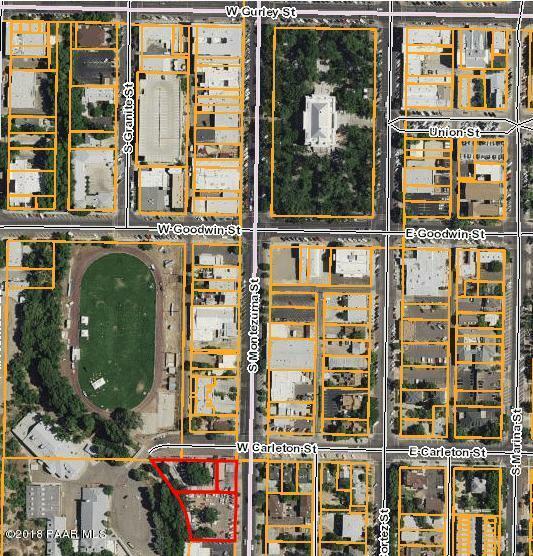 All 3 parcels are separatelymetered and zoned Business Regional (BR). Click More TaClean Phase 1 & II in hand. Currently there are 2 monthly tenants, call for details. Please do not disturb tenants.